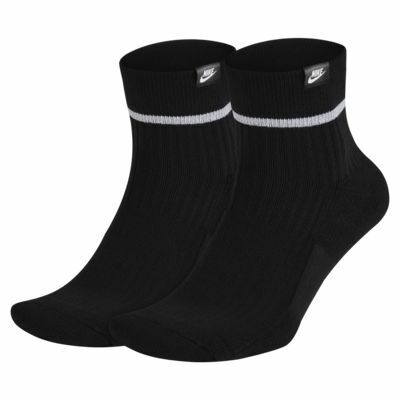 The Nike Essential Ankle Socks feature premium cotton-blend fabric combined with cushioning at the toe and heel for all-day comfort. Premium cotton-blend fabric for soft durability. Title says it all. 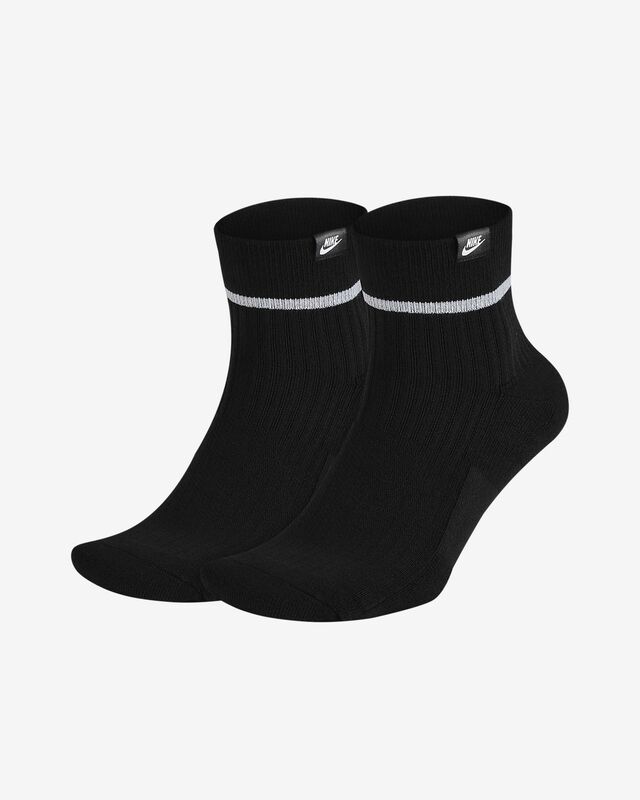 Perfect socks to wear with my Jordan sneakers, they're light enough for all day comfort but also just thick enough to provide good cushioning. Some of my Jordan sneakers, mainly the 3's and the 4's, run a bit tighter (have all my J's in the same size) when I wear my usual Nike athletic socks since those socks are meant for training/gym. These socks are the perfect fit.